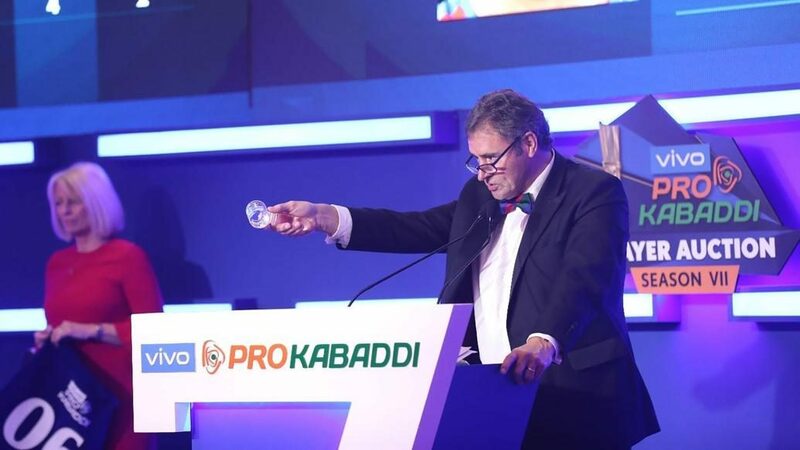 With the majority of the heavy-hitters off the market, the teams sought youngsters and veterans on Day 2 of the VIVO Pro Kabaddi Season VII Auction to bolster their squad for the upcoming campaign. The very first player on the block, all-rounder Vishal, sparked a bidding war between Haryana Steelers and Jaipur Pink Panthers and it was the latter who managed to secure the services of the player. Only two other players found suitors in the next hour of the auction, with Gujarat Fortunegiants and Bengal Warriors picking up Pankaj and Amir Santosh Dhumal, respectively. Domestic defenders fared better than the all-rounders, as C Arun was bought by Tamil Thalaivas and Dharmendra Singh was picked up by Bengal Warriors. The bidding for Neeraj Kumar lit up the auction room as four teams battled valiantly for his signature, but it was the three-time champions Patna Pirates who managed to snap up the Right Cover with the day’s biggest bid. Another new face that sparked a bidding war was Ajeet who will lineup for the Tamil Thalaivas in Season VII after they too managed to see off any potential suitor with their biggest bid of the day. Vikas Kale, a veteran of VIVO Pro Kabaddi, also garnered attention from multiple franchises, but it was the Haryana Steelers who managed to outbid the competition to sign the defender. Following the auction of the defenders, it was the turn of the raiders to enter the fray and U Mumba wasted no time in using their second FBM to retain Abhishek Singh. U Mumba also added Vinod Kumar to their roster and entered a bidding war with Bengaluru Bulls for Rakesh Narwal, but in the end, neither team could get their hands on the raider as Bengal Warriors swooped in and used to Final Bid Match to retain his services. Selvamani K, who played for Jaipur Pink Panthers in Season VI, will take his talents north and represent Haryana Steelers after they fended off interest from Puneri Paltan to sign the raider. The remaining New Young Players were next to go on the block and five youngsters found suitors in the auction room. Karamvir was the first player to be picked in this round as he was roped in by Jaipur Pink Panthers without any competition. Dabang Delhi K.C. also managed to sign Maharashtra’s Pratik Patil unopposed. Puneri Paltan and Gujarat Fortunegiants were both keen on Pune’s Jadav Balasaheb Shahji and after some intense bidding, it was the Puneri Paltan who managed to add the youngster to their roster. The next player bought was Mula Siva Ganesh Reddy who was picked up by the Telugu Titans and the round was capped off with Abhishek and Ashish signing for Gujarat Fortunegiants and Patna Pirates, respectively. Next on the board were some unsold domestic players and a host familiar names perked up during this session of the auction. Haryana Steelers, with a determined effort, managed to see off all challenges and re-signed raider Naveen with the day’s third-biggest splurge. Raiders Vineet Sharma and Suraj Kumar headed south as Tamil Thalaivas and Telugu Titans picked them up, respectively, for their base price. It was a day of celebration in the Desai household as Suraj Desai joined his brother Siddharth at the Telugu Titans, who seemed keen on uniting the brothers. All-rounder Narender headed back to the U.P. Yoddha and Gujarat Fortunegiants added former Puneri Paltan raider G B More to their raiding arsenal. Defending champions Bengaluru Bulls strengthened their defence with the signing of Left Corner Vijay Kumar, their first acquisition of the day. Veteran raider Sukesh Hegde was signed by the Bengal Warriors, whereas Ravinder and Vinod Kumar were bought by Patna Pirates and Bengaluru Bulls, respectively. Nine more players were picked in the final hour of the auction as teams tried to meet the league requirement of having a minimum of 18 players in the roster for the new campaign. After a brief break, it was announced that all 12 teams had met the league criteria drawing the auction to a close. So, after two days of intense bidding, the teams will now head to the training camp and get their preparations underway for Season VII of the VIVO Pro Kabaddi league.